There are many types of electronic transaction software systems, but THIN is perhaps one of the most reliable and well-known. THIN stands for Texas Health Information Network. It's an electronic clearinghouse system used in the exchange of data between insurance companies and providers. 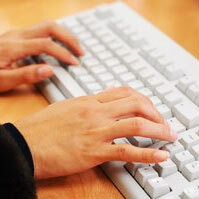 Click for more information on medical billing clearinghouses. 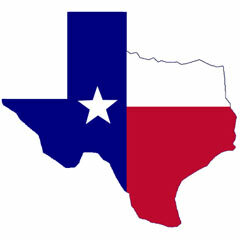 Although THIN is a Texas-based system, it's available in dozens of states throughout the nation. 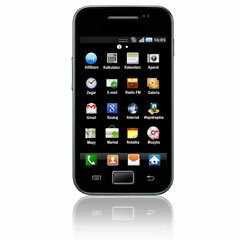 It provides prominent penetration of the clearinghouse market. In other words: no matter where you are, the THIN system is a great, widely available and reliable option. As well as Blue Cross/Blue Shield, THIN is among the leaders in using electronic information exchanges to reduce paperwork and enhance efficiency. This also helps to bring the costs of healthcare down, including those of your practice. A partnership between THIN, Blue Cross/Blue Shield and eStellarNet has made the THIN network even larger and more reliable. The partnership added services to many more states and expanded their information network. THIN is the electronic claims clearinghouse that manages the electronic claims and data transactions for your practice. When you enter charges into your practice management software and send the claim, THIN transmits the claim for you. As long as you subscribe to the THIN network, that is! checking that none of the codes on the claim are invalid or incorrect. If THIN returns a claim as unprocessable, it alerts the provider's office. They'll be able to correct the claim and resend it electronically. Once THIN processes the claim, they send it electronically to the insurance company, which processes the claim for payment. This entire transaction is done in seconds, which speeds up the entire claims processing time for both providers and payers. THIN is also HIPAA compliant. This means that it has the most current HIPAA 5010 update, which was required by clearinghouses the summer of 2011, and will be required of all medical providers as of the beginning of 2012. This update includes many changes, which make it possible for providers to bill claims with ICD-10 codes, as well as containing added confidentiality measures for electronic transactions. THIN is not only a technologically advanced clearinghouse system, it's a cutting-edge program, which has added user functionality in the form of sending and editing claims from a mobile device. and have a direct link to your practice management software. This module bypasses other clearinghouses by using the THIN system, and is compatible with Blue Cross/Blue Shield, HMO Blue Medical, Medicaid, Medicare Part B, and other Commercial Insurance Plans. Ultimately, choosing the THIN system may or may not be up to you. Because your practice management software is directly linked with your clearinghouse, they probably have a special contract saying that you must use their clearinghouse. What this means is that even though you want THIN, or any other clearinghouse, for that matter, you may not be able to get it. Sometimes software packages give you the choice of which clearinghouse you would like to use. But you'll most likely be pushed into agreeing to use a specific clearinghouse when you purchase your medical billing or practice management software. What this means is that you have to keep this in mind when buying a software package and choosing a clearinghouse. Some practice management programs may not even be compatible with the clearinghouse you're looking at, so this is another thing to keep in mind. But, if everything works out, and THIN is a possibility for your office, you may just want to give it a try! Learn how to choose the best medical billing software package for you.